From the mystical Machu Picchu and a journey through Patagonia to three nights in cosmopolitan Rio de Janeiro, home of the World Cup and Olympics in a span of two years, this is the trip of a lifetime across South America, one of the world’s most exciting and diverse destinations. 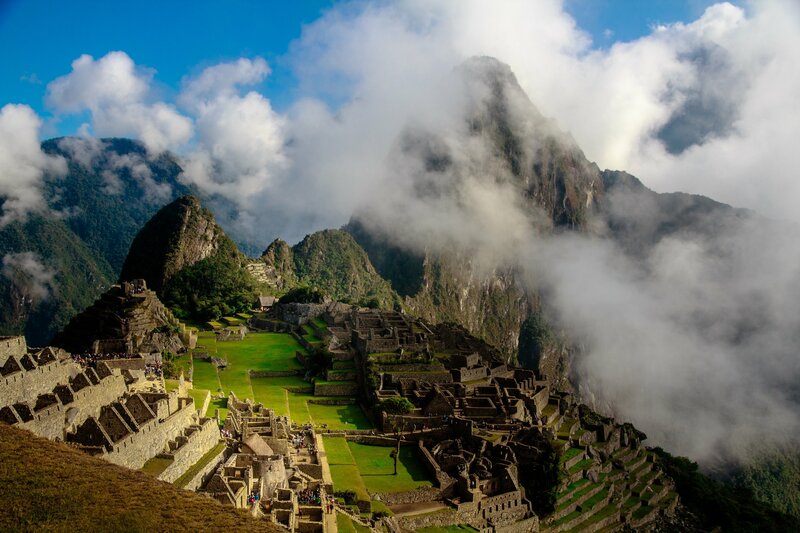 In Peru, visit Lima, the Sacred Valley, Machu Picchu and Cuzco to learn about the mystical Incan Empire. Sample award-winning wines and enjoy a lunch at a Chilean vineyard Whilst exploring Santiago. In rugged Patagonia, cruise through the Chilean fjords, take in the breathtaking sites at Torres Del Paine and venture to the stunning Perito Moreno glacier in El Calafate. Experience an authentic tango in Buenos Aires. Explore Uruguay’s only Portuguese settlement, the village of Colonia del Sacramento. Discover the mighty Iguazu Falls. Craft caipirinhas — Brazil’s famous cocktail — and enjoy breathtaking views of Rio from Christ the Redeemer statue. Discover centuries-old Andean textile methods at a living museum. Embrace the art of tango at a live performance. Embark on a full-day cruise through the breathtaking Chilean Fjords. Behold the majestic Torres Del Paine National Park. Venture to Argentina's famous Perito Moreno Glacier. Walk along the Argentine and Brazilian sides of Iguazu Falls. Visit the iconic Christ the Redeemer of Corcovado in Rio de Janeiro. Relish renowned Chilean wines during a tour of a bodega. Enjoy a dinner featuring Peruvian cuisine and festive entertainment. Savour a Brazilian churrascaria featuring an assortment of grilled meats. *Offer may be withdrawn at any time without notice. Subject to change and availability. All prices correct as at 30 May 2017, prices may change without notice. Please contact a Platinum consultant for more information and complete terms and conditions.